Opening for Cody ChesnuTT at The Troubadour was a band billed as Madd Vibe. Now, I usually do my due diligence before I go to a concert when there’s a band performing that I’m unfamiliar with. In this instant, for whatever reason, I didn’t. When I got to the venue and the band took to the stage, I noticed that the frontman of the band looked familiar to me. I quickly pulled out my iPhone and Googled “Madd Vibe” to discover that Dr. Madd Vibe is the solo project of Angelo Moore, the founder and frontman of the seminal, Los Angeles based ska/punk/rock/funk band Fishbone! For those of you who don’t know who Fishbone are, they’re just one of the most influential, cult bands of the 1980s, influencing huge bands like No Doubt, Red Hot Chili Peppers and Alice in Chains. And guess what? … they’re one of the acts set to perform on Sunday at Coachella this year. 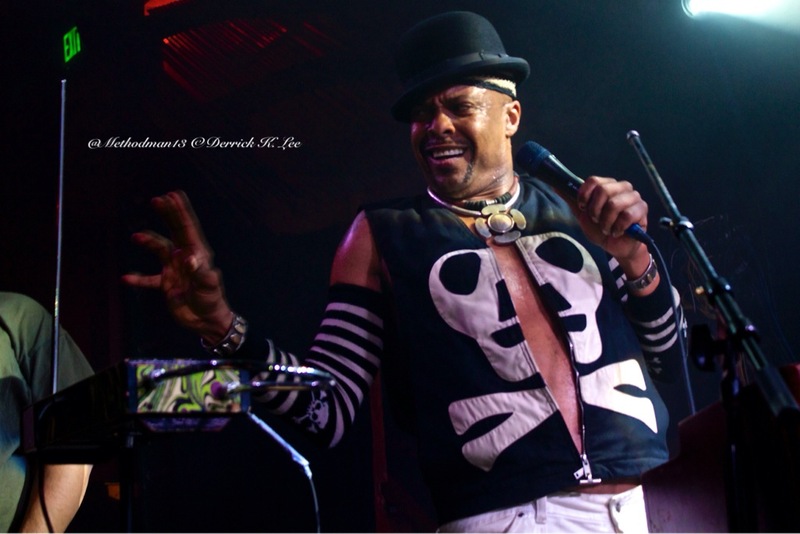 With the same type of energy that he used while fronting Fishbone when I saw them perform April 2010 at the now closed Air Conditioned Supper Club, he brought his punk-ska fused musical stylings to the Troubadour for a solid set that revealed the strength of his musical ability. Though his music is vastly different than Cody ChesnuTT’s, I think that the seemingly odd pairing was made because the talent bookers thought that anybody going to see Cody perform would appreciate Dr. Madd Vibe’s performance because of the legacy of Angelo Moore and what he has contributed to musical history. A consumate performer, the energy he and his band had was infectious. I started to get my ska juices flowing at points, and reminisced of the days I rocked khakis, combat boots, a white t-shirt and suspenders. The set times for Coachella haven’t been released yet, but hopefully, I’ll be able to relive some more of my youth in Indio. Unfortunately, the Flickr slideshow below is not available on mobile devices. If you are on a mobile device, please click THIS LINK to get redirected to the set of photos. If the slide show below isn’t working, then Flickr has disabled their embed option for WordPress and hasn’t yet updated their HTML code, which totally BLOWS! If you can see the slide show below, hooray! Mr. Moore! The pleasure was all mine. Keep shredding it, and hopefully, I’ll be able to catch the Fishbone set this Sunday!